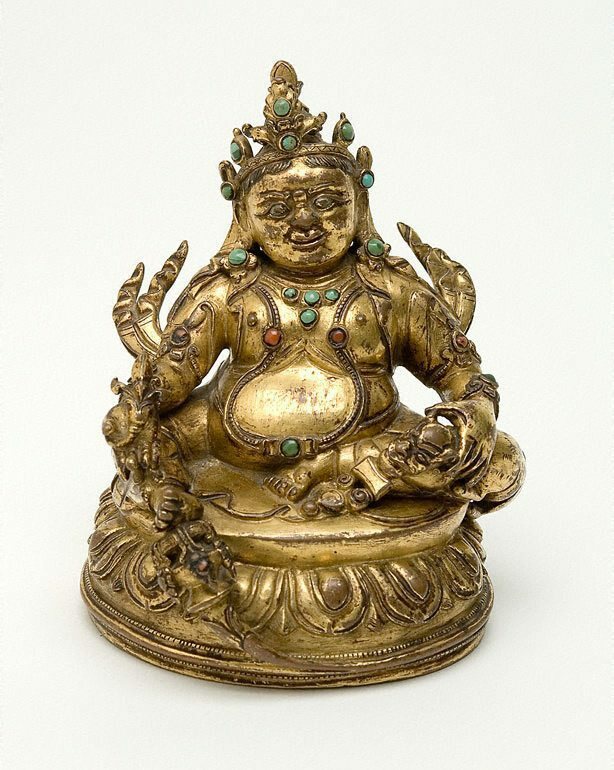 Kubera, also known as Vaishravana, is the Buddhist guardian of wealth and treasures. This role of the deity is underscored by the attribute in the figure's right hand, a 'nakula', or mongoose that spits coins and gems. The figure's rotund, corpulent form, as well as the rich crown and elaborate jewellery he wears, also allude to prosperity and wellbeing. 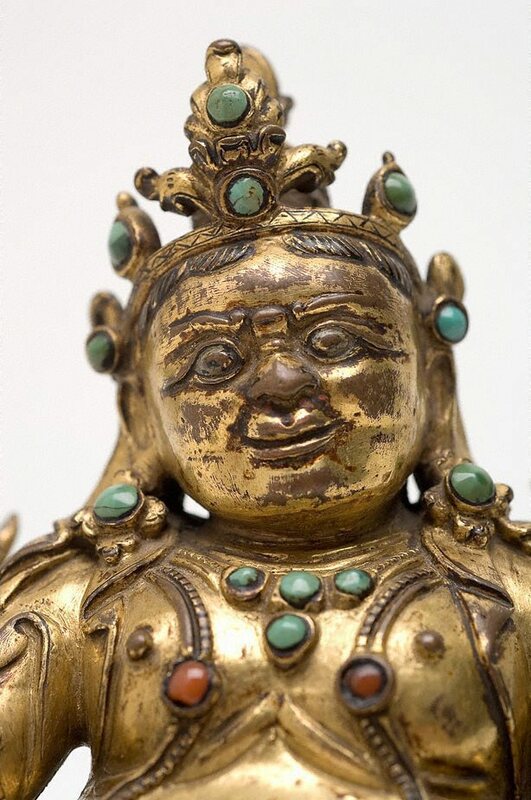 Despite the direct references to material wealth, within the Buddhist context, the treasure that Kubera ultimately protects is religious teachings that will lead a practitioner to perfection. Asian Art Department, AGNSW, February 2007. Chaya Chandrasekhar with Jane Somerville, Look , 'Kubera: God of Wealth', p.27, Sydney, Nov 2007, 27 (colour illus.). Foundation Newsletter #10 , Sydney, Jul 2007, (colour illus.). The colour illus. is on the second last page of the newsletter.